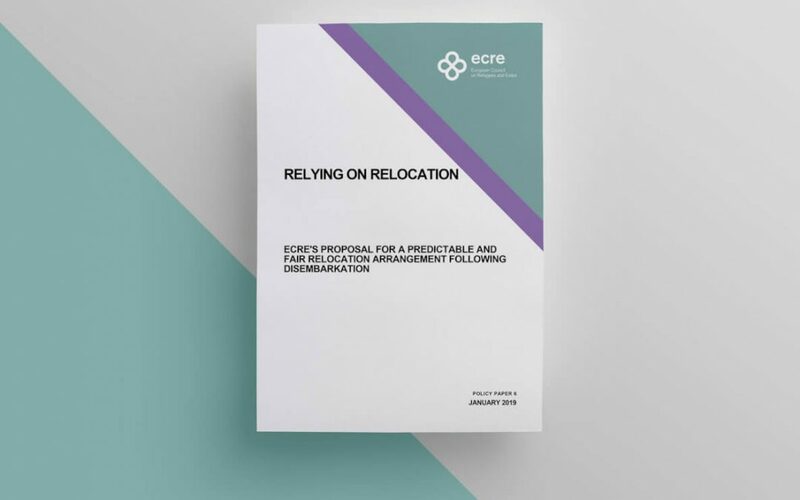 In its latest Policy Paper, ECRE proposes a mechanism for relocation following disembarkation to end the current “ship by ship” approach to relocation of persons rescued in the Mediterranean. 1) While countries should be able to choose whether or not to opt into the relocation mechanism, the states participating in the mechanism should be defined from the outset and should not be negotiated on a “ship by ship” basis. The arrangement should apply to disembarkations following search and rescue and other forms of sea arrivals in all participating coastal EU Member States to guarantee fairness and to support the efforts of all countries receiving disembarked people. All countries will be required to examine at least some asylum applications of disembarked persons. 2) Relocation should apply to persons who have lodged an asylum application in the Member State of disembarkation and for whom that Member State would otherwise be responsible under the Dublin Regulation. This provides necessary safeguards as it ensures that individuals who wish to apply for asylum are promptly granted access to an asylum procedure, undergo vulnerability and best interests assessments, and benefit from the right to remain on the territory and the right to reception conditions such as accommodation and health care. Applicants with family links in other countries will be transferred thereto under the mandatory provisions of the Dublin Regulation. 3) After defining the pool of asylum seekers eligible for relocation, the Member State of disembarkation and the European Asylum Support Office will calculate the respective numbers of persons to be transferred to each participating country, on the basis of a pre-defined reference share. The country of disembarkation will then submit “take charge” requests pursuant to the “humanitarian clause” of the Dublin Regulation. In accordance with that provision, “take charge” requests require the written consent of the individuals concerned. Transfers will therefore not be forced; an applicant refuse to be transferred to a participating country will continue the asylum procedure in the Member State of disembarkation. ECRE, Editorial: A Contingency Plan for Disembarkation and Relocation, 11 January 2019.